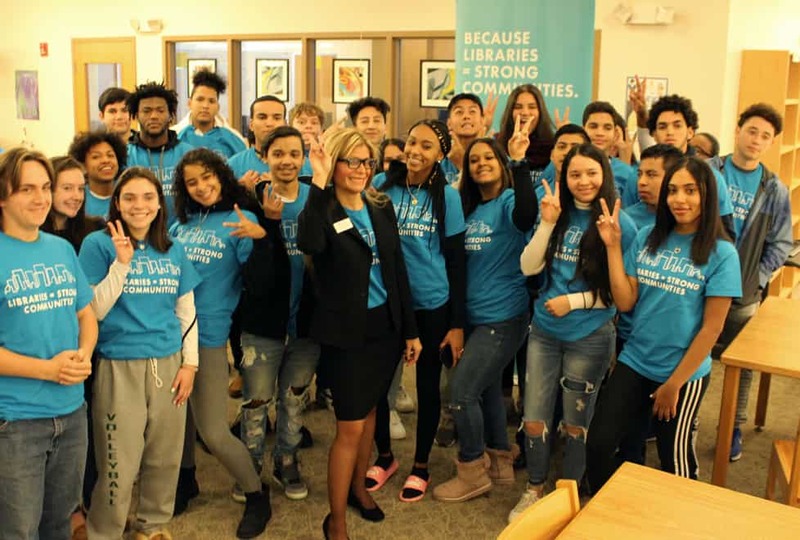 ALA President Loida Garcia-Febo (center) and students at Cranston (R.I.) High School East pose in the school's library. 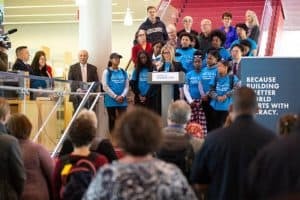 American Library Association (ALA) President Loida Garcia-Febo’s Libraries = Strong Communities tour landed in Cranston, Rhode Island, on October 22. 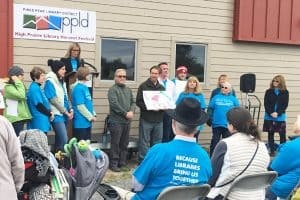 The tour is a national advocacy effort that spotlights dynamic library programs that transform lives through education and lifelong learning. Garcia-Febo used the opportunity to recognize the work of school libraries, especially highlighting the library at Cranston High School East for adopting the American Association of School Librarians’ National School Library Standards for Learners, School Librarians, and School Libraries. Librarian and Media Specialist Heidi Blais, who was named Cranston’s Teacher of the Year in 2014, creates a welcoming and empowering environment for her students. More than 60 students visit the library each day before school even begins. The space is heavily utilized, providing the arena for collaborative classes and students working on individual research projects, choosing reading materials, or collaborating in small groups. Students also donate their time to the library, shelving books, creating displays, and helping maintain more than 30 computers. 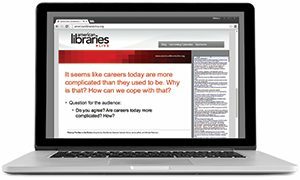 During her visit, library staffers displayed the library’s technology resources and demonstrated how school library programs foster critical thinking by providing students with the research skills they need to analyze, form, and communicate ideas in compelling ways. Garcia-Febo said she was impressed by the energy in the library, as she met with teachers, the school principal, and members of the community. Garcia-Febo said she was especially impressed when she met a group of students who recently arrived in the US and are taking ESL classes. They were using the library for a homework assignment comparing the popular culture of the US to their previous countries’ cultures. 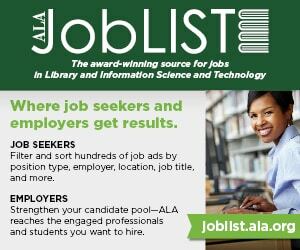 STEVE ZALUSKY is communications specialist with ALA’s Communications and Marketing Office.